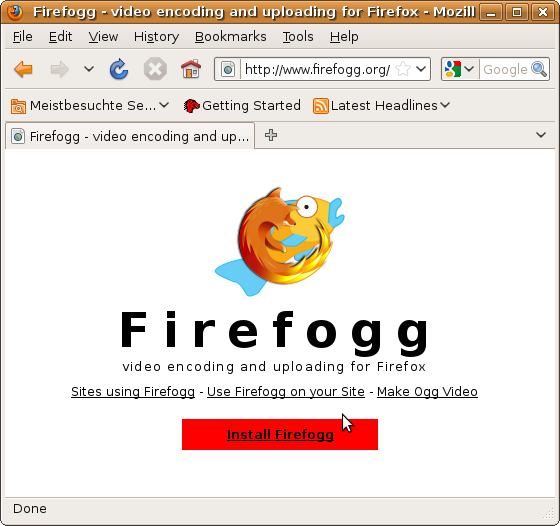 Firefogg is the name of an extension to the Firefox webbrowser that adds support for encoding your video files to Theora using a nice web interface. It also enables web-sites to provide a video-upload service that takes videos from your computer, converts them to Theora on-the-fly uploading the generated Theora file to a website. 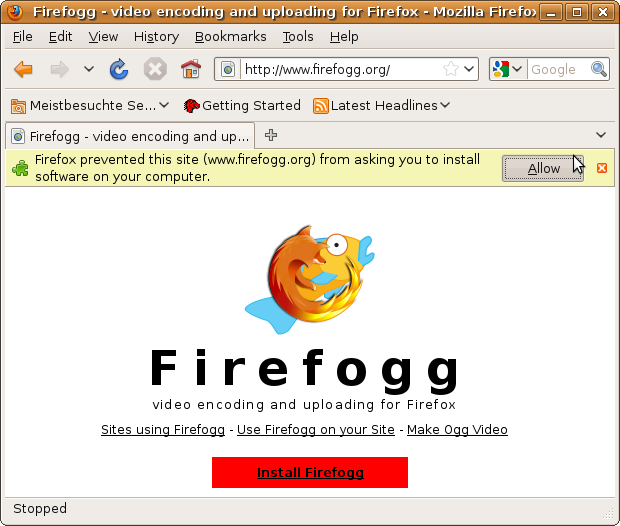 Firefogg requires the Firefox web browser, at least version 3.5. If your version of Firefox is older, or in case you do not have Firefox installed at all, visit www.mozilla.com to download an up-to-date version. Click on Install Now. After installation, you are asked to restart Firefox. Click on Restart Firefox to proceed. To encode videos with Firefogg, you need an internet connection. Parts of the encoding software reside on the internet and will not be installed to your computer. Now wait for the encoding to progress to 100% and you're done. Using the default set of parameters for encoding video yields very small Theora files optimized for web streaming. Perceived video quality will actually be quite low for most tastes. But wait, Firefogg is as advanced as most other Theora encoders. After a little tuning, very high quality videos can be easily created. Tuning options are available on the web page below the Save Ogg button. The first two presets called Web Video Theora and Low Bandwidth Theora are both optimized for streaming video over the internet. If you intend to play back the created Theora file solely from CDs, USB sticks or your computer's hard disk, you should try to not use them. Go for the High Quality Theora preset instead. Here you can control the quality of the created Theora file, and also choose to change the frame size of the encoded video. Encoding a video for a target quality (instead of a target bit rate) is the preferred encoding mode for Theora, so in most cases you won't want to try the encoding options in the other menus. 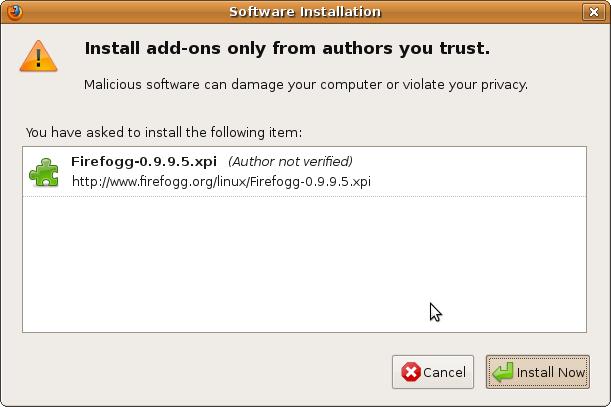 Once installed, Firefogg can be used on websites that support it. There is a list of sites that support Firefogg at http://firefogg.org/sites.